What are the best student jobs? Susanne leads the blog of worldtechbuzz. Three things she loves: her morning coffee, walking with her dog, and summer in Sweden. The University of London is a highly-regarded institution that is made up of 18 colleges and nine research establishments. All of the constituent members are well-known in their fields and are ranked highly on league tables. The University prides itself on being a modern and pioneering body that offers more than 3,000 courses, many of which can be studied remotely from anywhere in the world. The University of London was established in 1836. It was created to offer an alternative to Oxford and Cambridge, which were the only two universities available at the time. As the first secular institute of learning, it became known as the people’s university. This ideal was continued when it also became the only university to offer distance learning, allowing students the opportunity to study without living in London. The University of London was also the first British university to offer females the opportunity to gain a degree. The 18 constituent colleges that make up the University of London are run and funded independently. As each college is responsible for its own admissions process and entry requirements, a prospective student must apply to the individual college offering their preferred course of study. The largest of the constituent colleges is University College London with approximately 18,000 undergraduate and 21,000 postgraduate students. It is known globally for its research into health, wellbeing, cultural understanding and justice. There is a range of degree programmes on offer such as law, life sciences, mathematics, engineering and education. The main campus is in Bloomsbury, central London. King’s College London is one of the world’s top universities. It is the second largest University of London college with nearly 30,000 students. It offers a diverse range of courses and is distinguished in humanities, law and social sciences. The university has been at the forefront of research that has changed modern life and helped discover DNA, radar and mobile phone technology. City, University of London focuses on business degrees and has been shortlisted for the University of the Year twice. Most of the 65 undergraduate courses offered include an element of work placement so students gain real-life skills. There are roughly 19000 students at City studying both undergraduate and post graduate courses. Queen Mary, known as QMUL is situated in the east end of London. 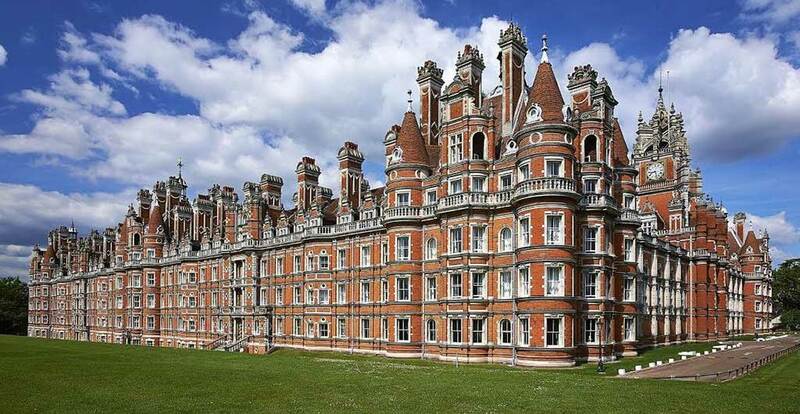 Royal Holloway, RHUL, is located on the edge of Greater London near Windsor. Both these universities offer a full range of courses for undergraduates and postgraduate students, and are older universities driven by research and discovery. Birkbeck, University of London is slightly different. This institution holds most of its lectures in the evenings. By offering all the teaching after working hours, students can continue to earn or look after family members as they study. London School of Hygiene and Tropical Medicine was named University of the Year in 2016. This School leads the way on research into public health and offers 18 campus-based Master’s degrees along with short professional courses. The Royal Veterinary College is a global leader in veterinary medicine and is the longest-running vet school of all English-speaking countries. The university offers practical experience, cutting edge research and exciting teaching methods. There is a campus in north London and another in Hertfordshire. The remaining colleges are all excellent establishments with a strong focus on research. The School of Advanced Study is the national centre for humanities research and it offers specialist training at postgraduate levels. St George’s is dedicated to health and medical science training. The London School of Economics and Political Science ranks second in the world for its research. SOAS focuses on Asia, Africa and the Middle East. Goldsmiths offers creative arts and entrepreneurial management, and The Royal Central School of Speech and Drama offers degrees for those hoping to work in the theatre. Courtauld Institute of Art, the Institute of Cancer Research, London Business School and Royal Academy of Music are also part of the University of London with specialist teaching in their recognised field. © Copyright 2018 World Tech Buzz. All rights reserved.